Anguished parents in Nigeria are torn between education for their child and their family's safety. 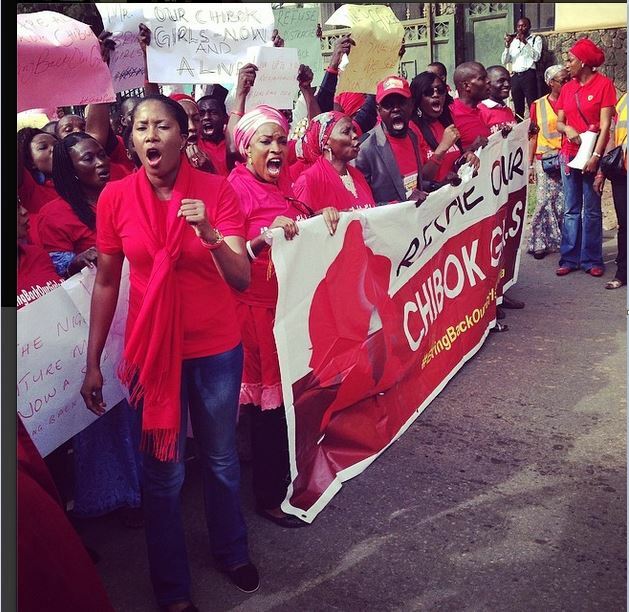 In today's photo of the day, CNN's Vladimir Duthiers shared this image of a rally to #BringBackOurGirls in Abuja, Nigeria. CNN's John King highlights a funny moment by David Letterman and his insight into Karl Rove's brain. The National September 11 Memorial Museum officially opens on May 21, but the President and first lady will tour the space on Thursday. CNN's Kate Bolduan got a preview of the building that is built almost entirely underground, some 70 feet down, in the literal footprint of the World Trade Center. "There isn’t a museum like it, or an experience like it, where there is such a collective connection to it," Bouldan said. Joe Daniels, the president of the National September 11 Memorial Museum, gives CNN's Kate Bolduan a tour of the space.